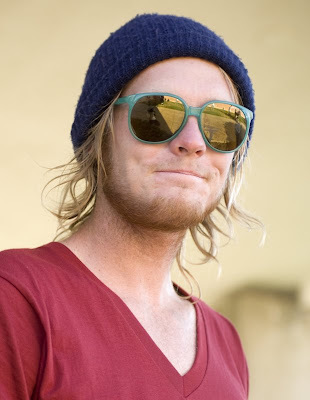 This past weekend skateboarders convened in the parking lot of the University of Utah Trax station to begin the final SLUG Mag skate competition of the summer. The contest was unlike most skate comps held in perfectly contained areas designated for skateboarding, aka skateparks. Oh no. 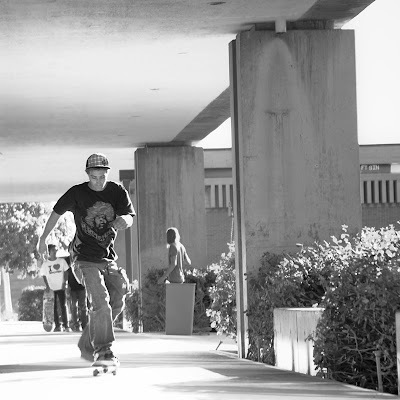 This contest was held at real skate spots found throughout the University of Utah campus. 35 skaters were divided up into 5 groups of 7, and each group had a tour guide to lead them through campus to designated spots where judges and a photographer were posted up waiting. They got a 15 minute session and as soon as the next group showed up, they got 3 more tries and then had to move on to the next spot. Sounds like fun, right? I was the photographer posted up at the first spot, which was a nice 8 foot flat gap. Once the last group had come through, I packed up my gear and cruised down to the last spot (which was the 8 rail by the stadium) and managed to get a handful of shots there too. Good turnout, lots of fun, and sheer anarchy...except for the perfectly organized groups skating designated spots in timed runs , of course. This beautiful switch kickflip ended in a broken ankle. Kevin killed it with a nollie inward heelflip here, and a nollie 5-0 on the 8 rail. dylan killed it on the 8 spot. whoops, this is davis, it was really me who left that last comment( and this one)... not kim. Weston I realized that the exact time of the competition I was working. I see Sam made it to the big time over at slap.